A BOM that meet the 4th Thursday of each month. Click on the class name for all the details of the class. Enjoy creating embroidery designs by Sweet Pea with Cathy. Different projects will be done each time we meet. These classes are for the beginner embroiderer. See the weekly newsletter for the project of the month. This club meets the first and third Wednesday of each month, from 1:00 - 2:30. Debbie Benewich is the leader and is there to help you with your projects, as well as teach you new tricks for coloring and stitching your embroidery. The cost is $10.00 per session. This club meets the 1st Thursday of each month from 1:00 - 2:00, and is $25.00 for 6 months. This installment is called Kindred Spirits Club Gathering, there are six unique pattern designs to make a total of eight projects. Two patterns are offered in two sizes. This club meets the first Thursday of the month from 3:00 - 5:00 A club designed to get together, share ideas, and be inspired. Work on any English Paper Piecing (EPP) project you like. Cost is $25.00 for 6 months. Late Night Sew on the 1st Saturday of the month. Price includes dinner. Sandy will guide you through the entire process of quilt making. This is a must-have class for beginners that meets on Mondays, from either 1:00-3:00 OR 6:00-8:00! There are 8 classes plus one pre-class on March 11. Choose to come from 1:00-3:00 or 6:00-8:00. From Friday morning at 10:00 through Sunday at 6:00! 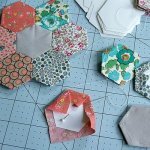 Learn to use Marti Michell's Perfect Patchwork Templates and rulers in this class that meets every other month. Attend the Demo and receive 10% off the purchase of Marti Michell products. Teacher is Christi Boyne. Cost is $10.00 per class. Also, watch the Newsletter for dates and times. Come once each month and work on a new table runner. Please see the weekly newsletter for each months chosen project. 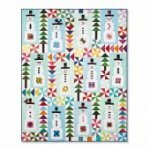 Learn how to stitch in the ditch, a machine quilting technique, for beginners to intermediate quilters in this 2 day class. Choose either the 1:00-3:00 session or the 6:00-8:00 session. The 2 days are June 17 & July 8th. 12 month Block of the Month Club. Meets the 3rd Thursday of each month at either 1:30 or come to the 6:30 class. 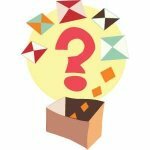 Join us for this mystery quilt which meets the fourth Wednesday of the month, starting Feb. 27...or the following Saturday. Each month you will receive the "next step" instructions. Based on Lori Holt's Vintage Christmas Sampler Book. We will be working on different blocks and projects throughout the year. A beautiful 19th century replica in blues and creams. This class meets the 4th Monday of each month for 2019. 12 classes total. Class fee is $25.00 a year plus the cost of the kit. This is a pieced and appliqued 12 month project. Be ready for 2019 Christmas time! Come either on the THIRD Wednesday or the following Saturday of each month. Come and sew, the last Wednesday of each month, for Charity!